The Oceanic Alpha 10 CDX Regulator is simple, dependable and economical all at the same time. What else could you expect from a design as refined and perfect as the Alpha? 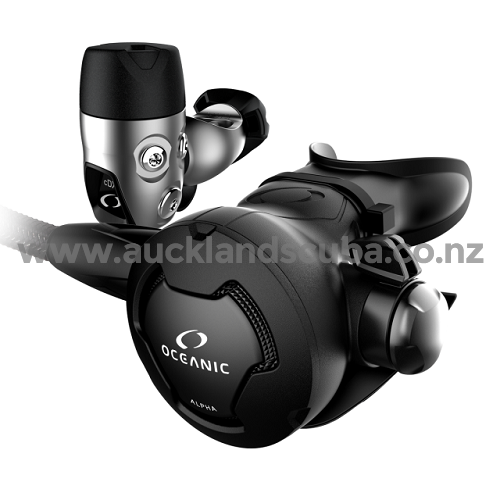 The Oceanic Alpha 10 CDX Regulator breathes effortlessly in a compact design, the only other thing you could ask for is tough and easy to maintain and it has achieved that as well. Since the Alpha 10 CDX Regulator is pneumatically balanced your breathing will me closely matched with those of the higher costing regulators without having to brake the bank. With the Alpha 10 CDX Regulator you can always rely on dependability due to the balanced diaphragm in the CDX first stage. It will allow for continuous flow of air that is un-interrupted regardless of its conditions.